Our company is very reasonable about the selling price of Ricoh 2020 toner cartridges. Our low price promise should tell you that we're wholly committed to giving you a discounted price allowing you to be assured that every replacement Ricoh 2020 toner will definitely be cheap. Our company offer you speedy and FREE delivery, on all Ricoh 2020 toner cartridges in order to help you to save more time and expense In cases where you're running low on toner please don't fret because a brand new Ricoh 2020 toner is only a couple of clicks away. Cartridge Save is a top UK supplier of Ricoh toner who focus our efforts on providing first-rate Ricoh 2020 toner cartridges that will come with solid operation and give you excellent performance. The truth is, we support any acquisition of our Ricoh 2020 toner along with a cast iron money back guarantee, to insure you in the unexpected event that you experience poor performance. In the unlikely event that you're unsatisfied due to the fact that this Ricoh 2020 toner looks like it is defective or damaged we'll offer our valued customers a reimbursement in order for you to buy with assurance. Our no quibbles return policy ensures that you always get 100% customer satisfaction after buying a Ricoh 2020 toner cartridge. To cash in on speedy, delivery, award winning customer care and a great price on this Ricoh 2020 toners order right now with us. This unit weighs 96 lbs and measures 21.65 x 22.36 x 21.97 inches. The Ricoh 2020 mono multifunction printer has a scanner on top where a control panel extends. Paper trays are on the base and the standard paper handling capacity is 250 sheets. For connectivity, there is a USB port on the back. The Ricoh Aficio 2020 has a print and copy speed of 20 ppm and offers up to 200% zoom. This multifunction machine is compact. The Ricoh Aficio 2020 monochrome laser printer delivers good quality output, professional prints, copies, and faxes plus true-colour scans. The Aficio 2020 monochrome copier offers support for Macintosh and Windows computers. The highly durable consumables ensure low running costs for the Ricoh Aficio 2020 multifunction printer. The black Ricoh 2020 toner has a yield of 9,000 pages and the separate drum unit lasts up to 60,000 pages. 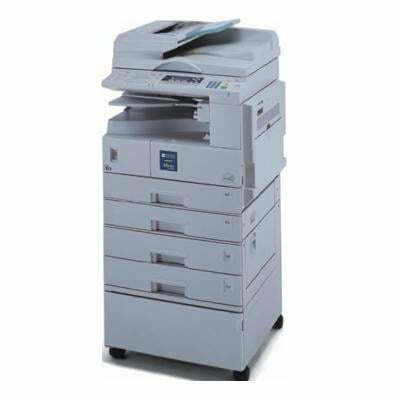 Though the Ricoh Aficio 2020 copier boasts a quick scan speed, its copy and print speeds are slow. This copier does not have standard automatic double-sided printing function.